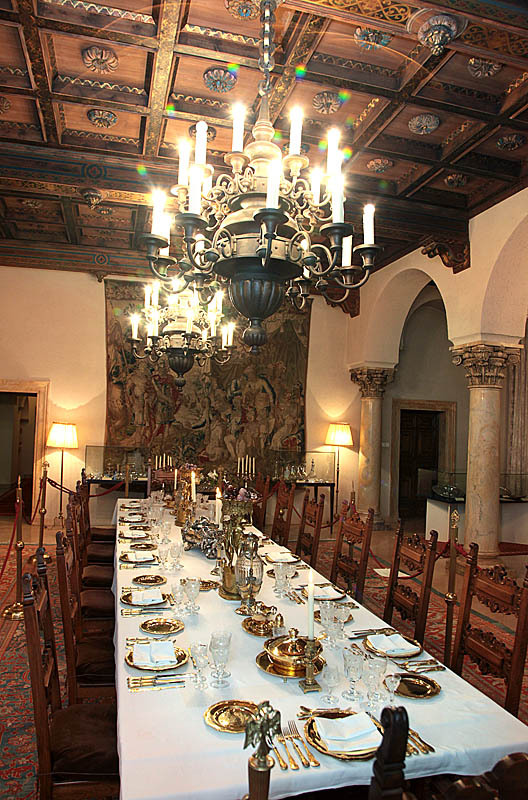 The culture of dining was an important part of the court’s way of life. The preparation of food, its serving and the setting of the table during the ceremonies were under the strict court protocol. 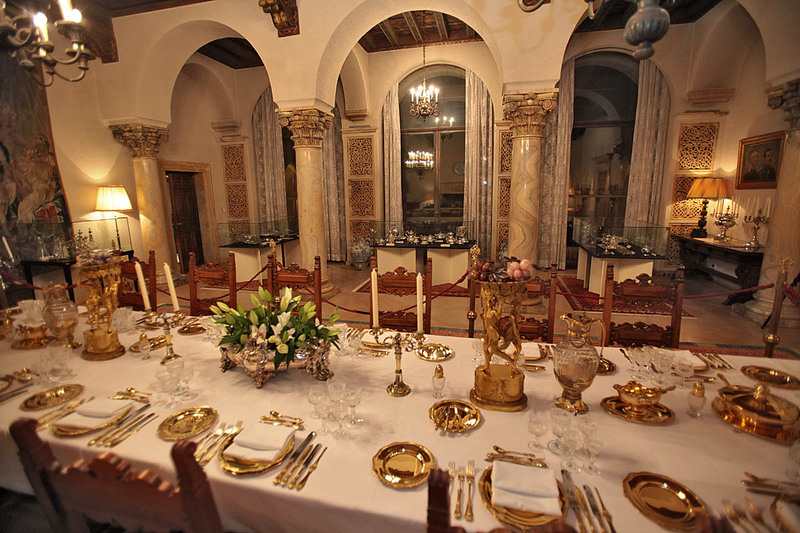 Special attention was devoted to the appearance of accessories and services, as well as the setting of decorations on the table. It was a kind of art. 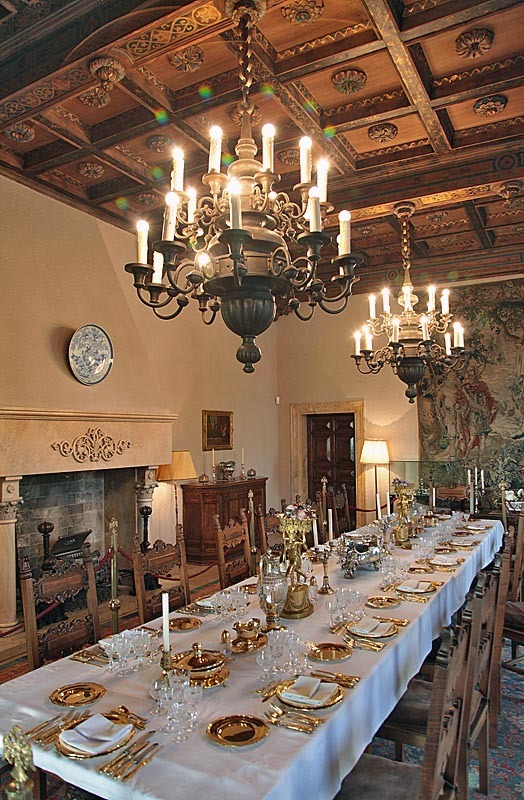 Since the 18th century, architects or artists who made plans for festive meals had often been hired for such needs. Such tableware, except for silverware or porcelain, often contained decorations, sometimes made for just one occasion. The appearance of ceremonial tables of aristocracy of the 18th and 19th century is testified by numerous paintings of such events. The decoration of the ceremonial table in terms of central decoration in the form of figural compositions and services from various precious materials had peaked during the 18th century. Trends were dominated by the designs made of various materials, decorated with flowers, fruits, candlesticks, figurines and mirrors. 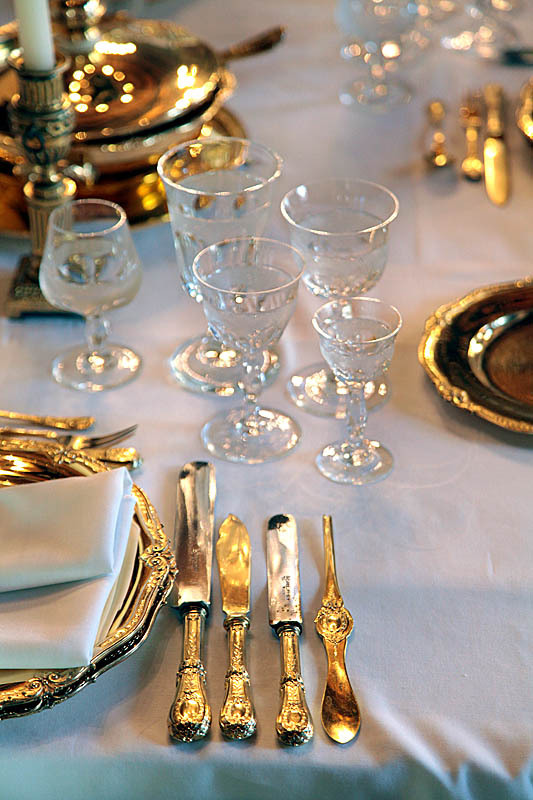 There were two types of table setups: a French one that meant that each participant would be provided with identical food served in a large number of different types of vessels, and English, which meant that each guest had a servant who would have prepared foods in previously chosen containers. 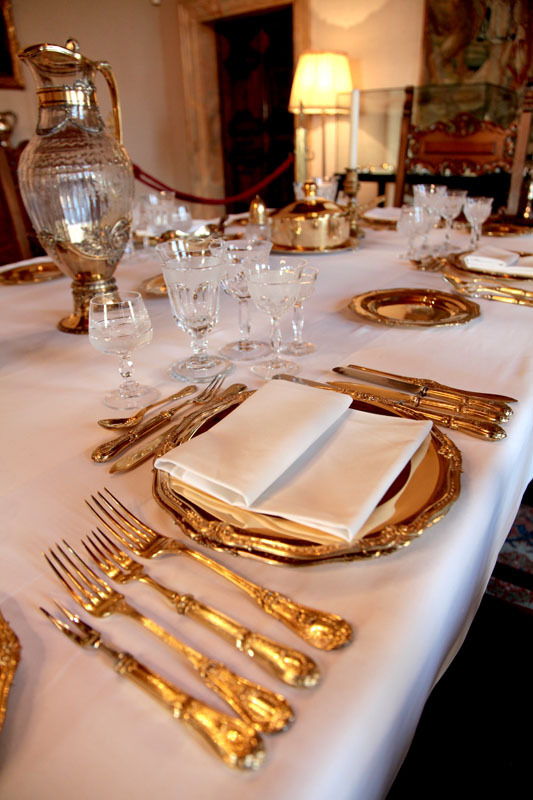 The English type of food service expanded throughout the 19th century throughout Europe. During the second half of the 19th century, it was also accepted at the Serbian Court, and later in the 20th century, with some modifications, it was represented in the Yugoslav Court. 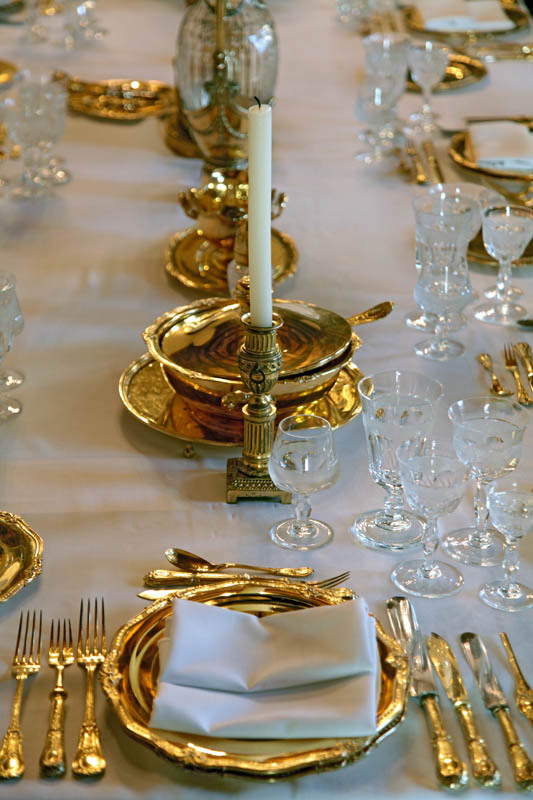 The ceremony of the banquet of the Yugoslav Court consisted of porcelain services made in Vienna, Meissen, and the special Klinkosh service made of gold plated silver. In the middle of the table dominated the central decoration of silver or gold-plated bronze always with rich figural decoration. Objects for this purpose had always been the exceptional premise of the applied art and were often surrounded by floral arrangements. 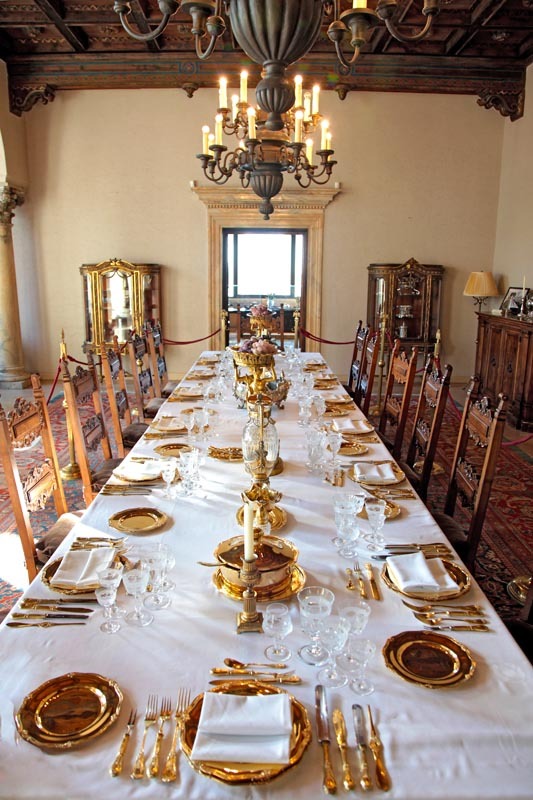 At the Royal Palace today there are several porcelain and silver services, produced in the prestigious European factories during the 19th and early 20th centuries. 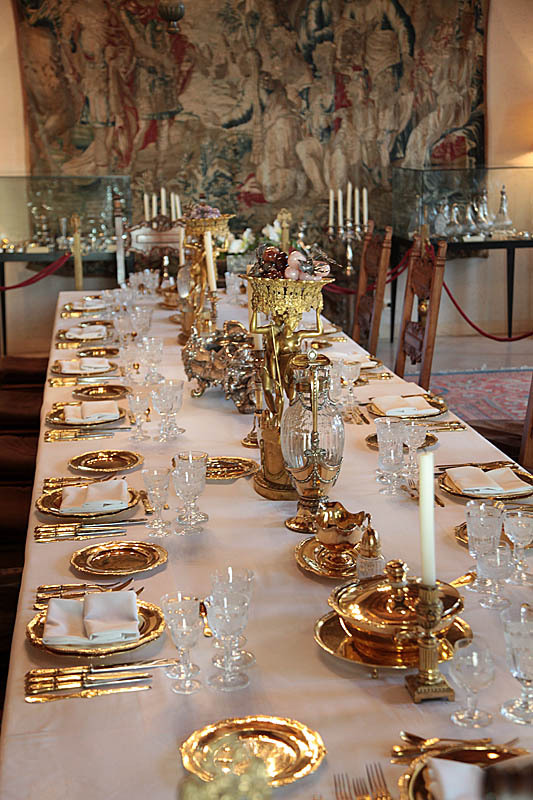 Viennese porcelain, English Chelsea porcelain, German Meissen and KPM, as well as porcelain manufactured in the Rosenthal or in the Czech Republic are just some of the many services, some of which originated as orders from the Cabinet of the President in 1958.